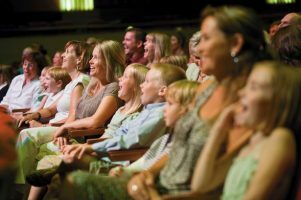 Marketing for family entertainment – CPA Theatricals, Inc.
Marketing has never really been my “thing.” I think I understand it, but it does not come naturally to me. When I owned the CPA firm, I hired someone to help me market the firm. The expert asked me to complete a 50 page packet before she started. It was so so overwhelming. And, what’s more, many of the questions were the same or very similar. After I completed the packet, I met with her and one of my first questions to her was, “Why were there several versions of the same question, over and over?” Her response was something like this. It is my job to help you market your services to your intended audience. In order for me to do this, I need to learn as much about your business and your preferred clients as I can. Now, in addition, it is also my job to help you “define” your perfect client. So, the questionnaire asked similar questions to get you to think, to try and get a different response from you. 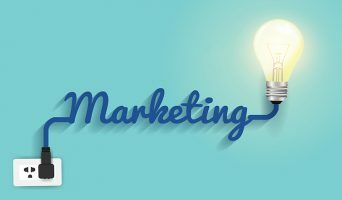 Once I know exactly who the targeted market it, then I can create a marketing plan. In addition, she kept asking, “Who EXACTLY are you selling your services to?” She encouraged me to be very specific. Finally, I landed at a clear answer and our marketing strategy was created and implemented. And it was successful; we found the clients we wanted! As I am developing our Christmas show, I tell folks that this is “family entertainment.” What is family entertainment? I start by telling people: “imagine you are going to see THE WIZARD OF OZ – that is the audience.” But, what exactly does this mean? For me, it means an audience with between 30-50% children – ages 10 and up. In addition, it also means their parents, grandparents, aunts and uncles, etc. Mostly adults but with a significant number of children. I recently saw PETER PAN, in a day-time summer-time production. I estimated that the audience was 50-60% children – school and camp groups mostly. That kind of mixed audience (probably minus the camp groups!) is what I envision for GRACE & THE ISLAND OF MISFITS. And if that’s my market, then that is how I must shape the show. Working with my composing team, I remind them: we must keep the attention of children as well as adults. We must shape a show that has a very fast pace. And we have to make sure the energy of the show is visual, as well. The villainess must really be mean and the toys must really be fun. Oh, yeah….and the music must be great as well.